I am loving paleo sausages right now. Cherry Street butcher makes two varieties, a thick one with fennel and a thin one with paprika. I could have them mixed up, but whatever flavour the thin one is, it is delicious! 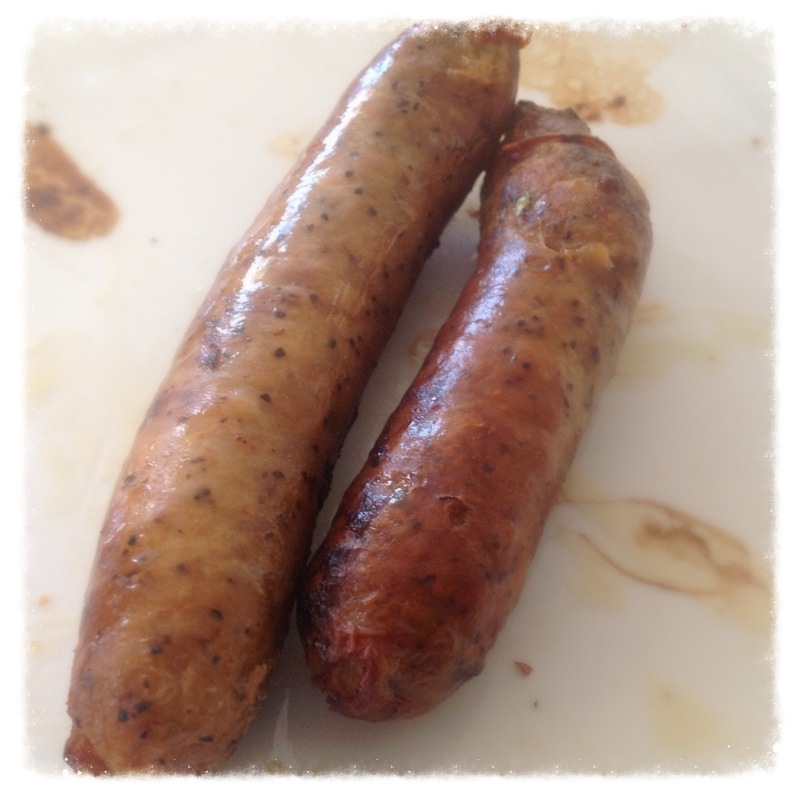 What makes them a “paleo sausage” is that they are made with no grain fillings (meatier! ), no sugar and no preservatives. So you need to freeze these bad boys as soon as you get home or cook them quick! Neither are a problem for me, although working out how I should break it up can be. Sometimes the kids eat all of what I have made for me, other times I end up eating the whole lot and have too much! BallinaGirl and I have been having a few sausages over the past couple of days, especially after I discovered how delicious it was dipped in to a whole30 approved baba ganoush that Amy from Fighting Fit Super Centre had made. Yum! You can call Cherry Street Butcher to order some, on 02 6686 2610. P.S. I am doing whole30 at the moment. I’ll have to write up a blog post about it when I’m finished. More info on whole30 can be found here.